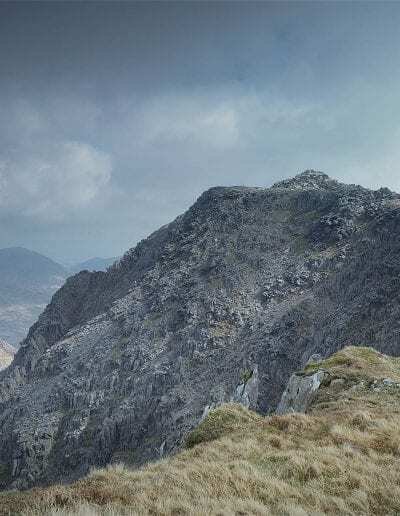 A full day out hiking the high Snowdonia ridges for some landscape photography makes for a perfect weekend. I start out at dawn in Cwm Idwal for a great sunrise down the Ogwen Valley and projected golden light onto Pen Yr Ole Wen. Then heading towards the Devil’s Kitchen / Twll Du and up to Llyn y Cwn. 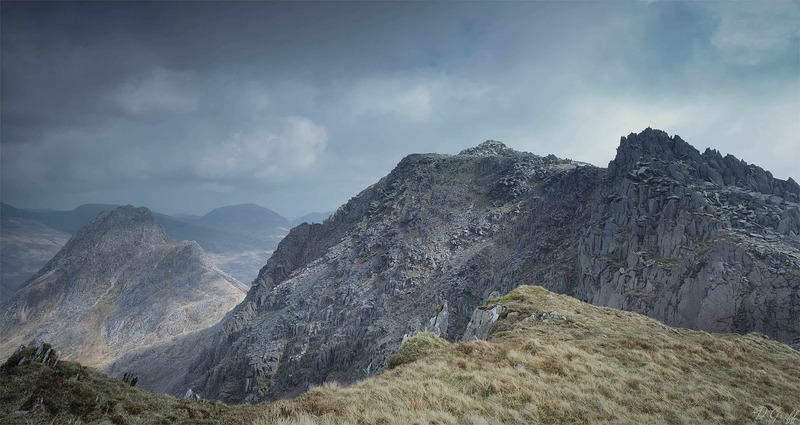 From there up to the high peaks of Gylder Fawr, The Castle Of The Winds and Glyder Fach. Then back down via Bristley Ridge and Cwm Bochllwyd. Despite some cloud cover on the peaks, the conditions were very benign and made for a great day out.